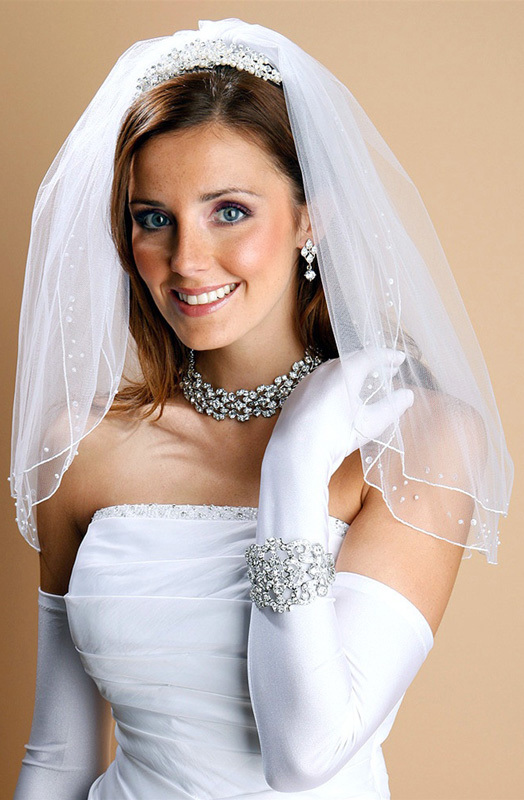 * Mariell's ever-popular Pearl and Sequin Shoulder Veil in White or Ivory is an enchanting addition to any bridal gown. * This 2-Tier bridal veil has a delicate Pencil Edge and sparkles with scattered baby pearls and sequins. * This Shoulder (20/"22") veil includes a sewn in comb and is made with a slight gather to allow for a sheer, slightly translucent look. * Not only ideal for the bride, this petite wedding veil is great for flower girls or Communions at a great wholesale price!